Do you struggle with getting dinner on the table? I can teach you how to meal plan in 5 simple steps. 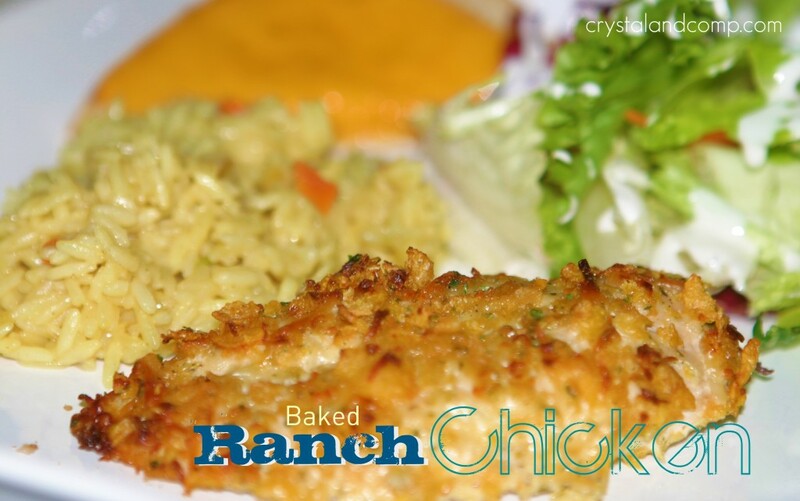 Easy recipes like this Baked Ranch Chicken are perfect for your meal plan. This is an easy chicken recipe that is perfect for a fall or winter evening when heating up the oven is in order. It comes together quickly and cooks fast. 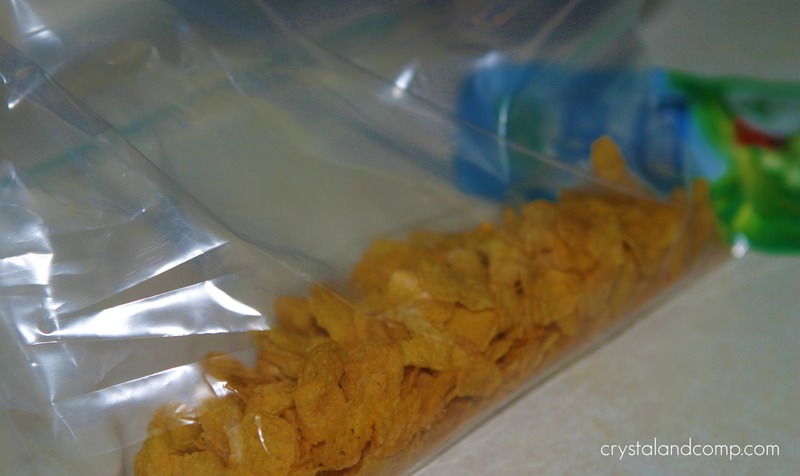 Toss the cornflakes in a ziplock bag. 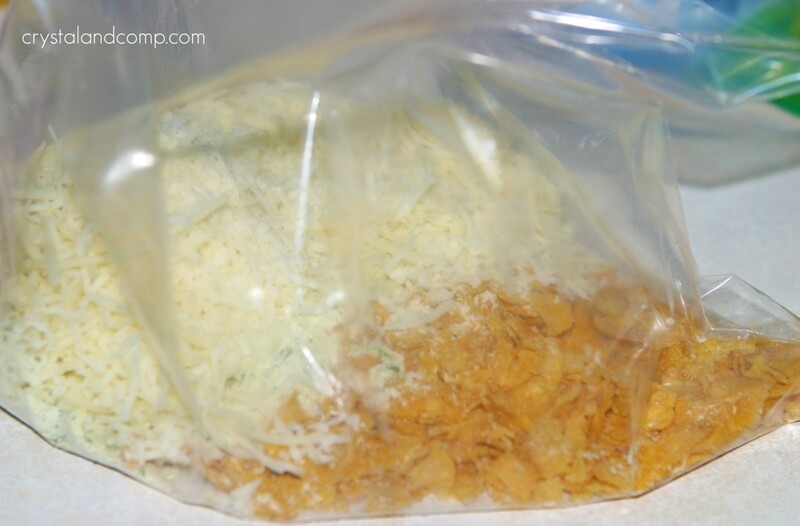 Add in the packet of dry ranch dressing mix. Roll it around on the counter to crush the cornflakes and mix everything up. 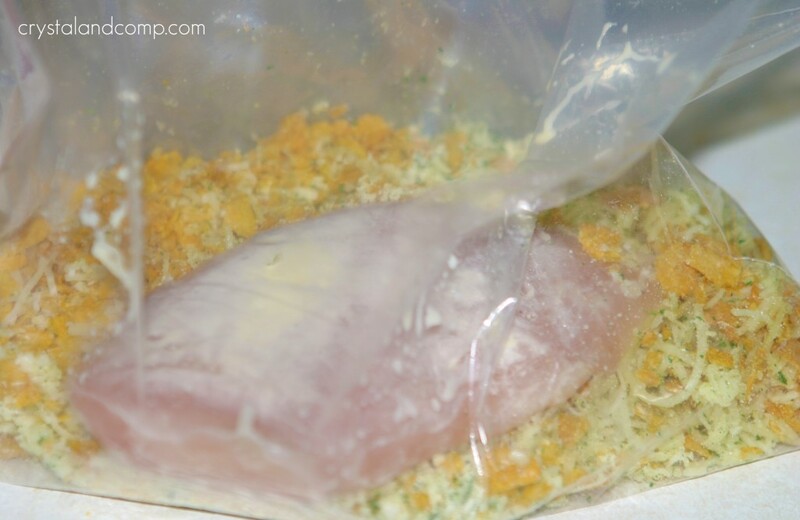 One at a time place the chicken breasts in the ziplock bag and coat in the cornflake mixture. Place the chicken breasts in the casserole dish and bake in a 350 degree oven for 45 minutes or until the chicken is no longer pink in the middle. They will look like this when they are done. Plate them up and enjoy. We served them with a dinner salad, flavored rice and cheese toast. My kids love cheese. What can I say. 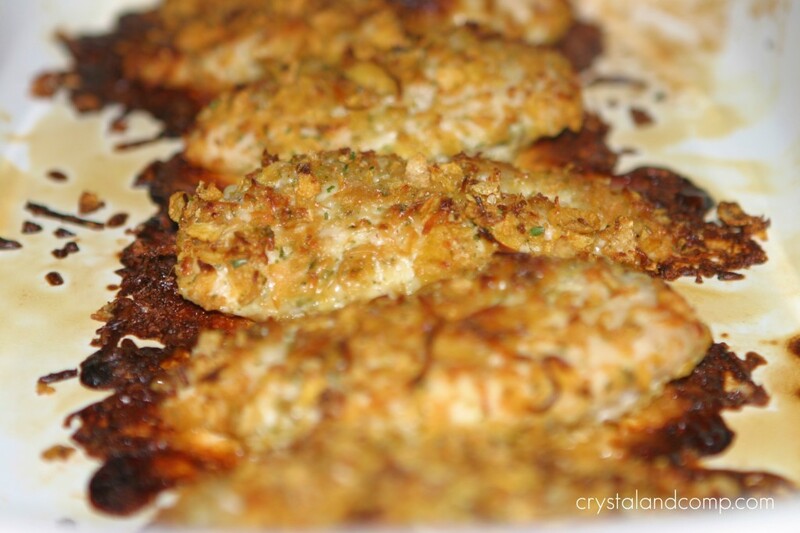 I originally found this recipe at The Krazy Coupon Lady. I adapted it a bit to meet the needs of the ingredients I had on hand. Want more easy recipes? 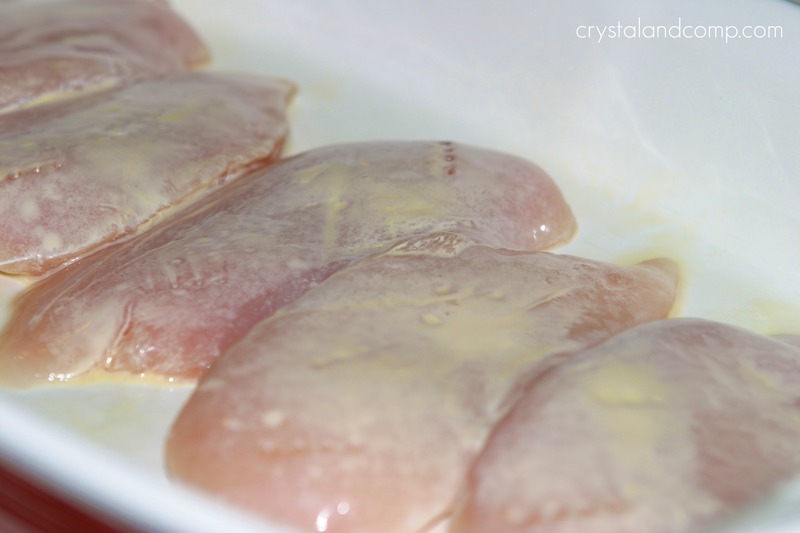 I have tons more here on Crystal & Co.
Place the chicken breasts in the 9x 13 casserole dish and bake in a 350 degree oven for 45 minutes or until the chicken is no longer pink in the middle. 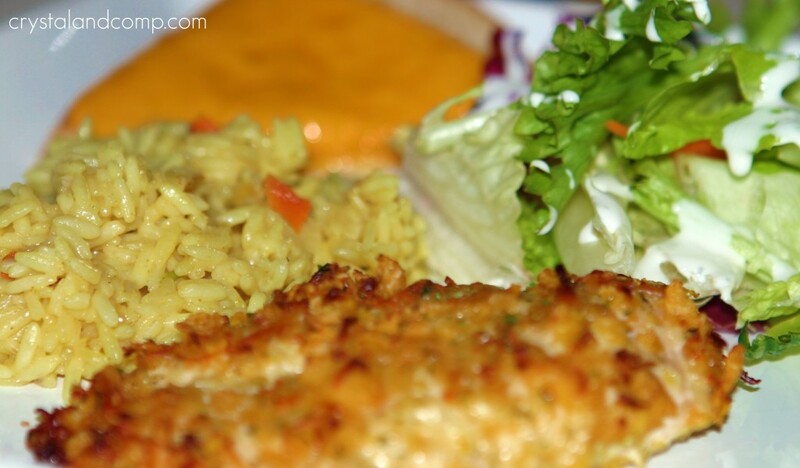 This looks like a perfect recipe for supper tonight! Yummy! That’s what I’d call delicious. Thanks you for sharing the recipe as well, I think I’m going to give it a try at this weekend! This recipe looks very good! I love anything made with Chicken! That looks so good! 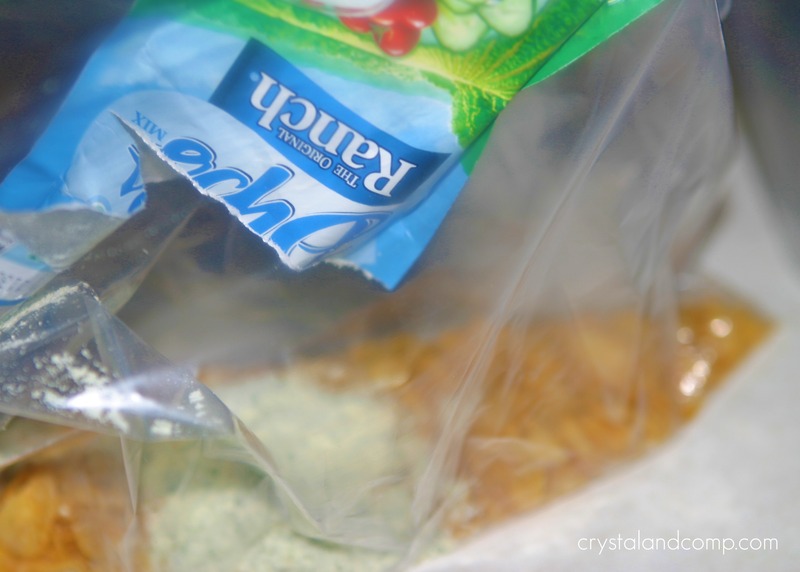 I love ranch dressing packets in my food, love the flavor it adds. I’m pinning this one to try soon! I’ve made similar a similar recipe quite a few times using French’s onions. But this looks totally yummo! I’m thinking of making this for supper tonight! Sometimes I get home from work maybe 10 minutes before our normal supper time. 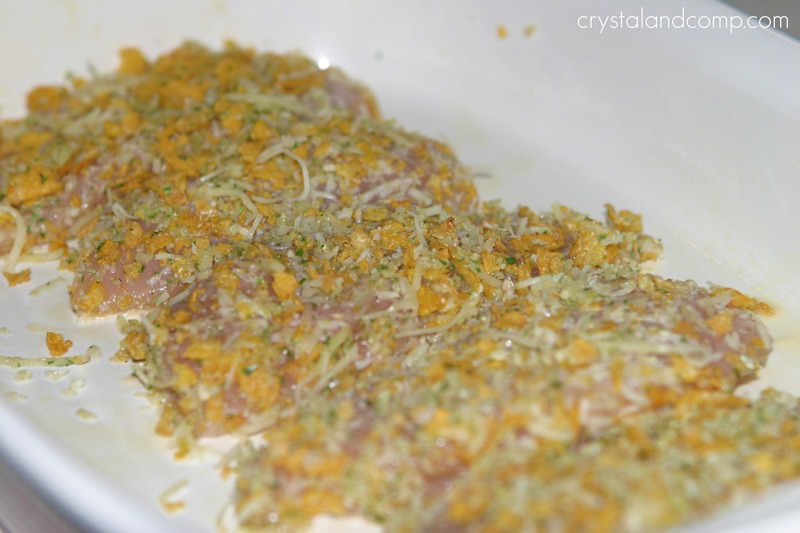 For nights like that I’ll pound out the chicken breasts to thin then, and then cut them into chicken finger sized strips. I also will put them on a broiler pan (the one with the little slits in it), and it only takes about 15-20 minutes to get done! Thanks for a great recipe, I can’t wait to try it out!